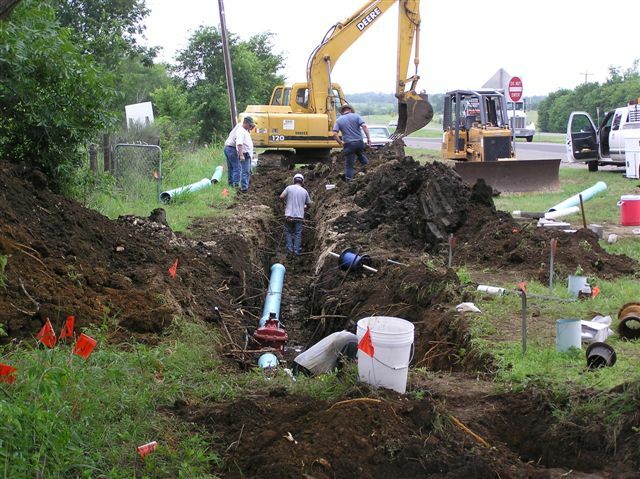 Public Water Systems :: BEFCO Engineering, Inc.
BEFCO Engineering, Inc. provides surveying and engineering services related to the design, maintenance, and management of public water systems. These services includes the design of water wells, elevated and ground storage tanks, hydrotanks, booster pumps, and distribution systems. BEFCO also provides municipalities with permitting assistance, performing hydraulic and water rate studies, and creating water conservation and drought contingency plans. The following are just a few of the public water system improvement projects in which BEFCO has been involved. This project was included in LCWSC's Phase VIII Project in 2002 (USDA -- Rural Development). 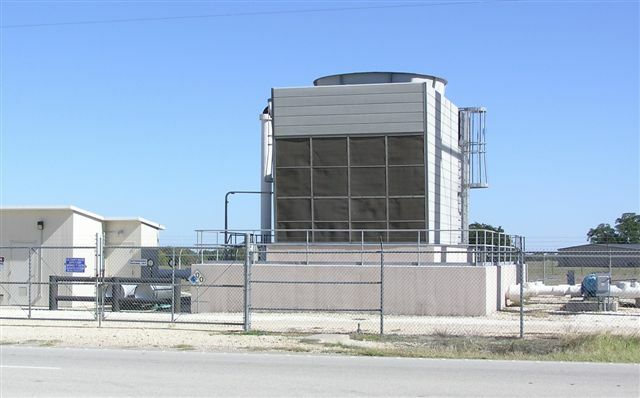 Photo includes a PVC plant building, cooling tower, concrete storage tank (under cooling tower), and booster pumps that deliver water to a 250,000 gallon elevated storage tank nearby. 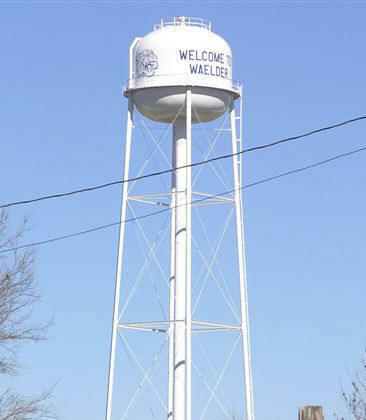 The 200,000 gallon tank was constructed as part of the City of Waelder's 2006 TCF / EDA Project. 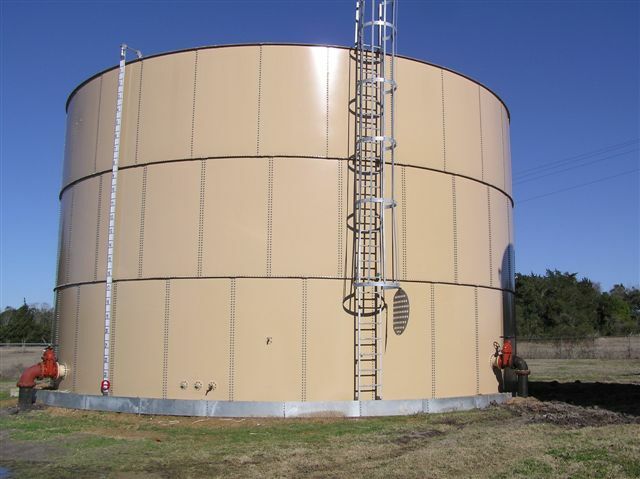 The 225,000 gallon ground storage tank was constructed in 2008 as part of a Texas Water Development Board Project. Construction of the waterline shown was part of Lee County Water Supply Corporation's Phase IX (USDA -- Rural Development).